Fits Notebook / MacBook Pro up to 15.6"
Get around with your laptop in comfort and style with the Rapido Backpack from Tucano, made of lightweight gray mélange fabric. 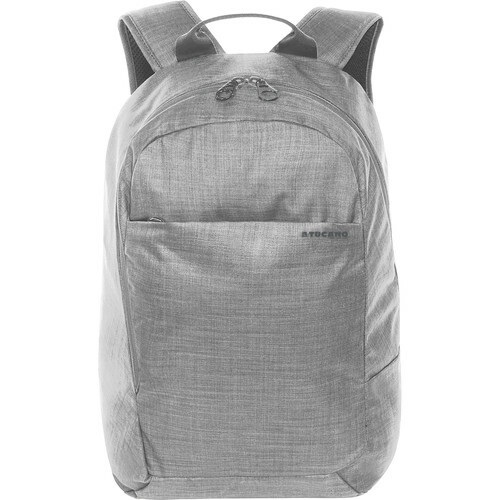 Featuring a roomy interior compartment with a double protective pocket for a MacBook Pro, Ultrabook, or notebook up to 15.6", the Rapido backpack holds your device safely in place while you're on the go. Adjustable, padded shoulder straps together with an ergonomic back make for easy travelling, while an external front pocket helps you keep small items close at hand.